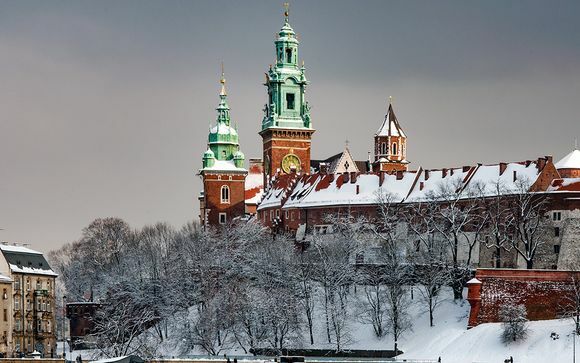 Weekends in Krakow up to -70% off To take advantage of these offers, join now for free! 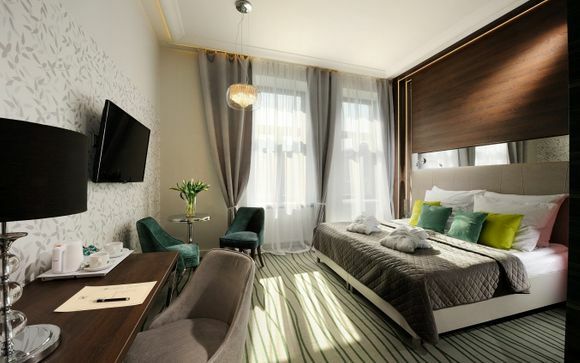 Book online at Voyage Privé and enjoy a weekend in Krakow, the perfect place to take in Polish history and culture whilst staying in luxurious accommodation. 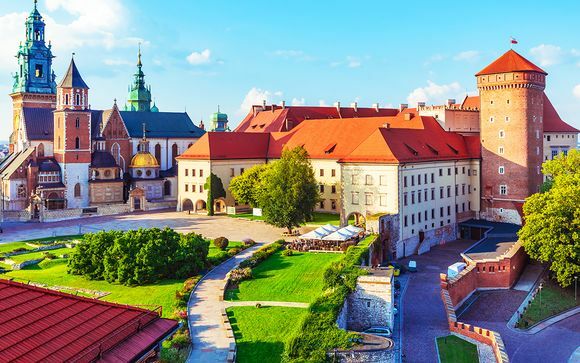 Having survived the Second World War, Krakow is home to some of Poland’s oldest and most impressive architecture – the city’s old town was actually designated one of the first ever urban UNESCO World Heritage Sites. A fascinating mixture of past and present, Poland’s second city boasts stunning medieval structures: the impressive Wawel Castle was the seat of Polish kings for over 500 years and stands today as an emblem of Renaissance-era magnificence, while the showstopping Rynek Glowny is supposedly the largest medieval city square in the whole of Europe. Once you’ve been enchanted by the colours of the square, you can enjoy a stroll through the old town’s atmospheric streets and perhaps sit back with a coffee at one of the area’s many cosy cafes. If you visit in summer, you might even stumble upon an al fresco concert or marvel at the manicured gardens of the castle. Krakow’s historic Jewish Quarter, Kazimierz is a vibrant neighbourhood with a buzzing cultural scene. Bringing together the Gothic with the industrial, Kazimierz’s plethora of art galleries, welcoming cafes and antique emporiums is a heaven for art aficionados and coffee-lovers alike. Packed with monuments to Jewish culture, this neighbourhood creates a unique sense of history and encourages reflection on the city’s tumultuous past. Come the evening, Kazimierz takes on a new lease of life: whether it's cosy beer houses or something more lively you’re looking for, Kazimierz’s nightlife has something for everyone. 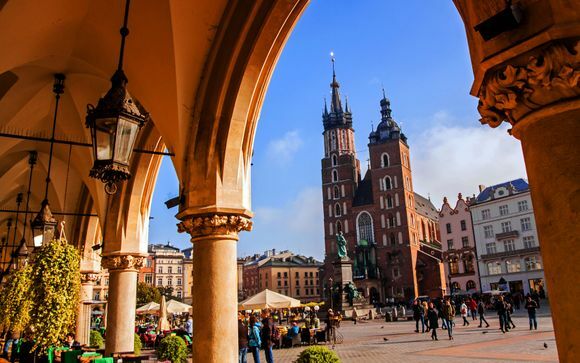 Krakow is a must-visit for history buffs. 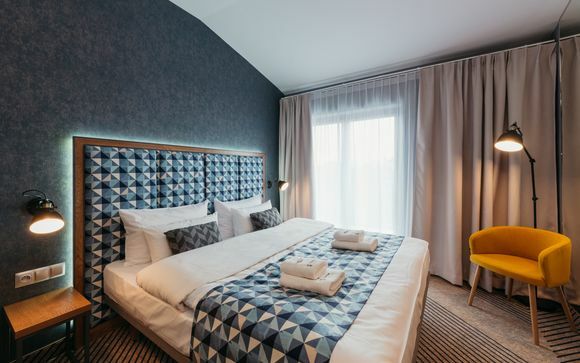 The city is home to Oskar Schindler’s Enamel Factory, which sheds harrowing light on life in the city under the Nazis, while the sites of the Auschwitz and Birkenau concentration camps are just a bus ride away. A place that everyone should visit at least once in their lifetime, from the huge piles of shoes belonging to prisoners to the starkness of the barracks themselves, the horror of history truly comes alive here. The mines of Wieliczka offer the chance to go a little further back in time (and a little deeper underground!). Closing only in 2007, the mines of Wieliczka were some of the oldest continuously used salt mines on the planet. Now a visitor-friendly museum and UNESCO site, the labyrinth of tunnels features elaborate carvings and even an underground cathedral! Whether you’re looking to delve into history or shoot the breeze on a stunning market square, our handpicked selection of exceptional hotels offer the perfect base for your Krakow weekend. 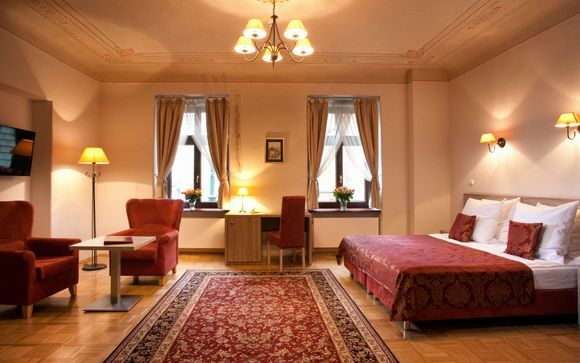 Get access to our exclusive deals on Krakow weekend breaks when you sign up to Voyage Prive.